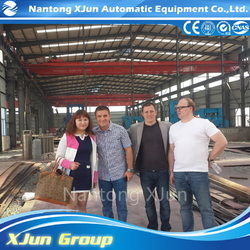 Nantong XJun Automatic Equipment Co., Ltd is a leading manufacturer of metal forging machinery and steel products in China. It was set up in Nantong Industry Zone which is located in the most developed economic area in China and is nearby the Shanghai Sea Port, after more than 10 years rapid development, we have developed a strong brand & reputation in the China domestic market and also successfully enter and grow our international markets. Now our company is consisted with 2 factories and 1 international trading company,covers an area of 24, 000 square meters with building area 20, 000 square meters. Our employees can reach up to 100, including 15 intermediate and senior technician and engineers. We also have professional and technical team supply reliable design and advanced production equipments enable us to manufacture high quality machines. 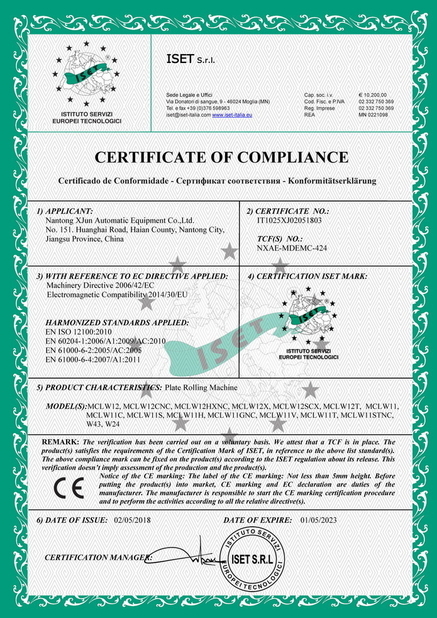 Our Company has passed the certificate of ISO9001-2000 international quality certificate and can also provide CE certificate which enables it to export products to European market. 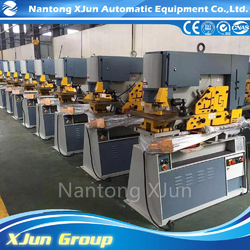 Our company is professional on metal forming machine (plate rolling machine, plate bending machine, shearing machine, leveling machine, hydraulic press, etc. 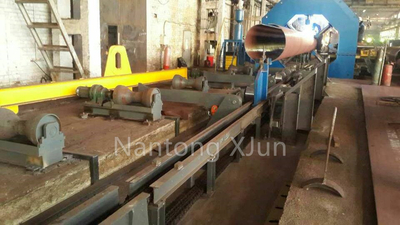 ), we also provide the corollary equipments for the metal forging machine, like welding machine, rotate racks and so on. Our products are widely used in electrical appliances, shipbuilding, machinery manufacturing, installation, repair, decoration, automobile, high speed train, mold manufacturing, aerospace., . etc. Our business scope also includes import and export of technology, OEM and ODM service, contracting overseas projects and engineer training services. As a factory nearby the Shanghai Sea Port owned independent right of import and export, we can offer a very competitive exporting price and convenient service to our international customers. 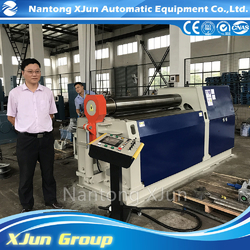 Our machines have been exported to more than 30 countries or regions including Europe, America, Southeast Asia, and Middle East with high quality, We commit ourselves to cooperating with importers and exporters all over the world. We are looking forward to your enquiries and collaboration. Our technicians will assure you of appropriate equipment with reasonable prices and best pre-sale and after-sale services. We sincerely welcome any overseas agents to work with us and look forward to establishing further international networks for long-term working relationships. 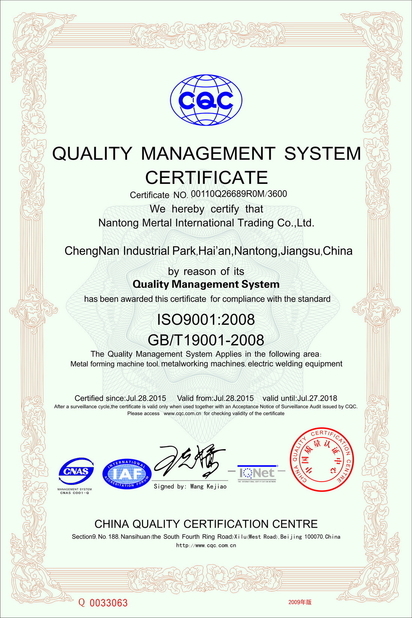 Nantong Mertal International Trading CO.,LTD.after-sales service commitment: after acceptance, equipment warranty period 1 year, within 1 year equipment for design, manufacture for any quality problem, the supplier is responsible by the supplier. The equipment warranty period, the supplier of equipment of all kinds of fault timely and provide free maintenance service, the non-artificial damage caused by all kinds of parts, should be replaced free of charge in a timely manner, the replacement parts warranty period from the recalculation of the replacement date. Warranty period of equipment failure, the supplier upon receiving notice from the buyer to respond within 24 hours, and free maintenance. Equipment failure after the warranty period, the supplier to respond within 24 hours after buyer notice, maintenance charge of spare parts cost. Machine all parts, spare parts, accessories and so on to ensure supply of 10 years. When the spare parts to stop production must notify the buyer 3 months in advance. This matter, the supplier shall furnish to the buyer free processing drawings and technical data, to ensure the follow-up of the spare parts supply. Equipment life meet user demand for spare parts, spare parts at any time.